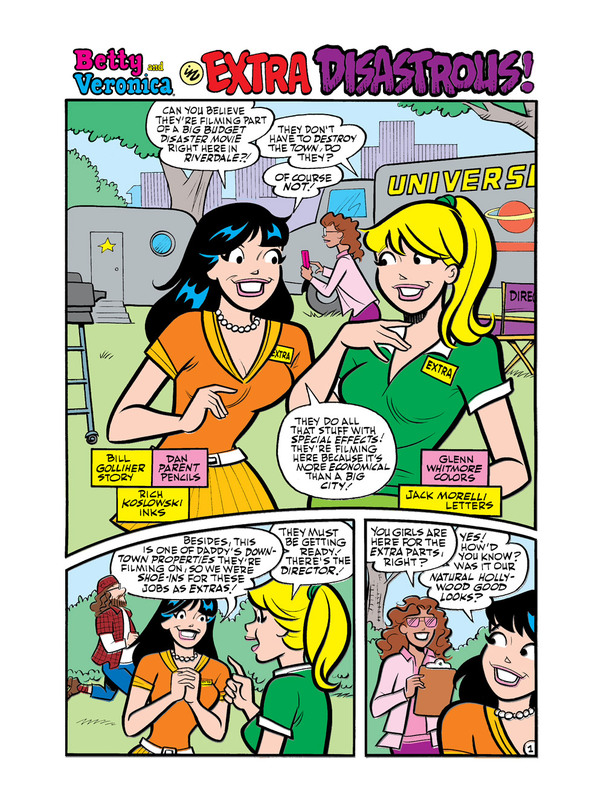 Classic-style Archie stories return to comic shops in May with the launch of BETTY and VERONICA FRIENDS FOREVER! 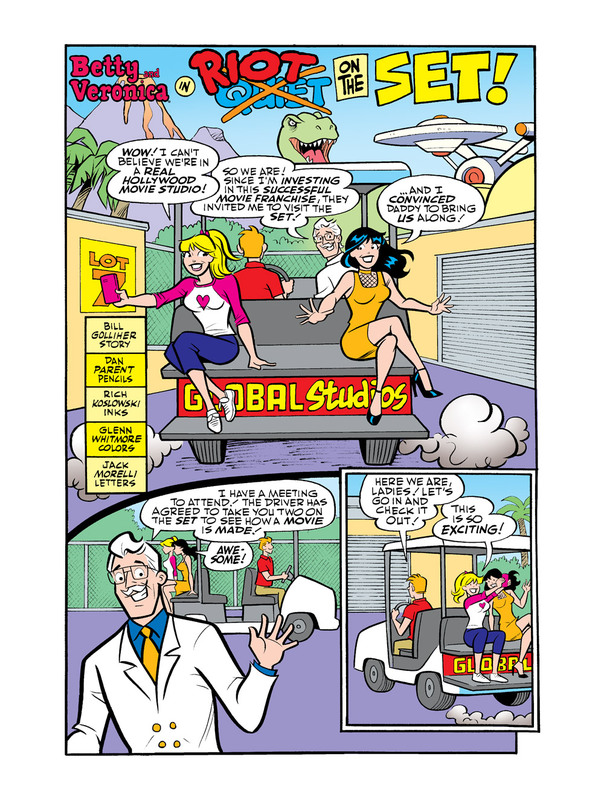 The ongoing series brings the iconic characters back to the traditional comic book format in fun themed stories by Archie legends Bill Golliher and Dan Parent. 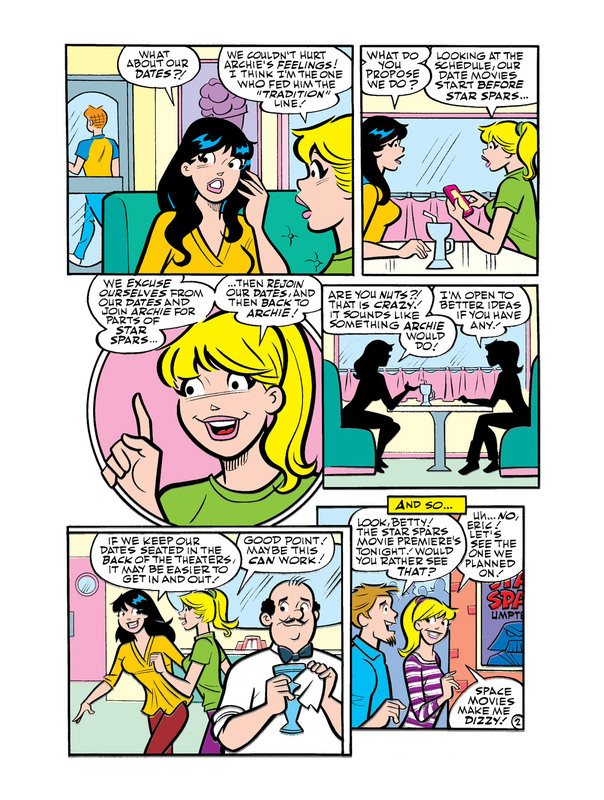 "As a fan of Riverdale and the new things going on at Archie, I'm glad to keep the classic style going, too." Dan said. "It's what I love and what feels natural to me, and I'm so glad our fans support it! I also love doing the classic five-page stories; they bring back memories of the stories I grew up on. 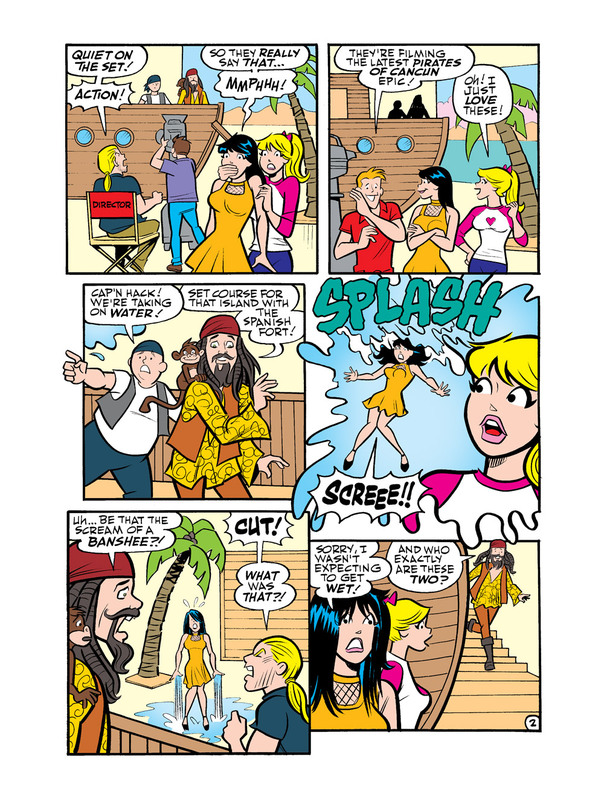 Here's to many more classic adventures with Betty and Veronica!" Dan added, "It's especially great working with my old partner in crime, Bill Golliher. And Rich Koslowski always knocks it out of the park with his inking. Glenn Whitmore also does a bang-up job, and like Bill, we go all the way back to the Joe Kubert School years (make that decades) ago!" 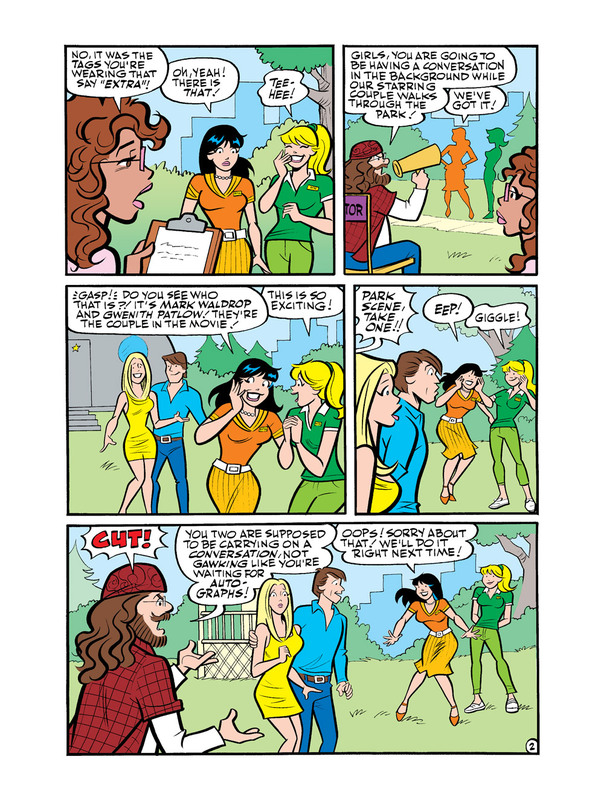 "Providing classic, all-ages Archie content for the direct market is something that is important to us and that we're confident will resonate with Archie readers -- new and old," said Archie Comics Co-President Alex Segura. 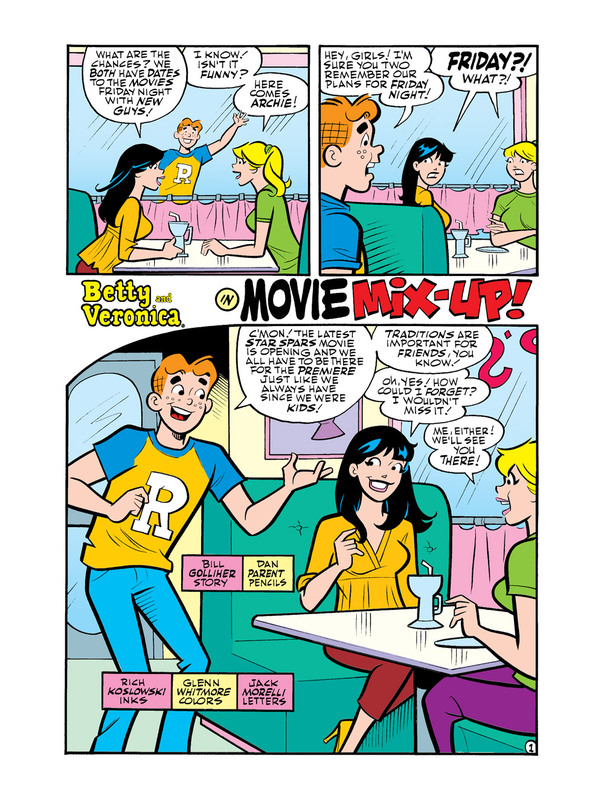 "Having these new stories crafted by superstar artist Dan Parent and writer Bill Golliher, along with inker Rich Koslowski, guarantees comic shop readers will be getting the best classic Archie has to offer on a regular basis." 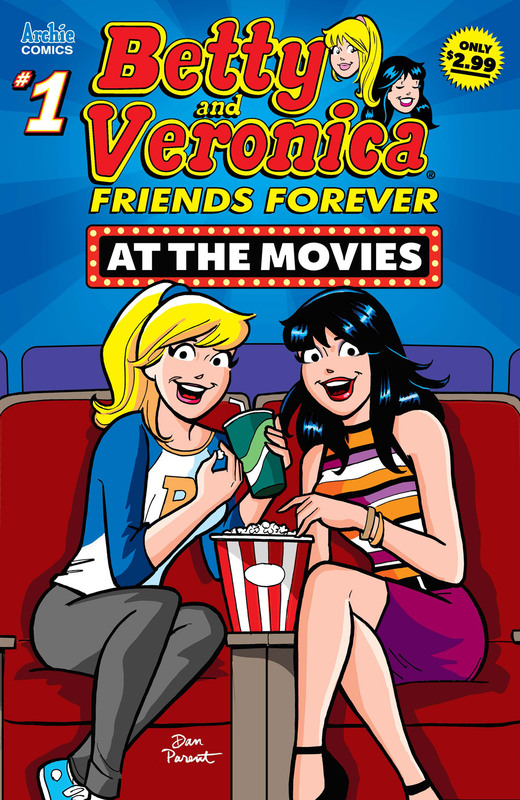 Classic-style Betty and Veronica stories make their return with this collection of fun tales that see the two iconic BFFs get the Hollywood treatment and experience some matinee madness!